A California coast road trip is on the bucket list for many people in the United States and even in the world! Each year, thousands of families, couples, and groups of friends plan a California coast road trip and go back home with precious memories. There are so many stunning stops along the California Pacific Coast Highway from Big Sur to Yosemite! There are pristine beaches, hidden coves, tall rocky cliffs, picturesque beach towns, dazzling metropolises, and many more places to stop your car, get out, and have fun. Because California stretches out for more than one thousand miles, a lot of people feel overwhelmed and confused when planning the ultimate California coast road trip itinerary. Driving up the coast of California is an amazing adventure – but are you driving “up” or driving “down”? A lot of people wonder whether they should plan their road trip down the northern California coast or if they should plan it heading north. In our opinion, the drive up the coast and the drive down the coast are pretty similar. Some people argue that heading north to south is better because you drive closer to the ocean and most of the rest stops are on this side of the ride. But, to be honest, which direction you choose depends more on logistics. Which airport are you flying into? If flying to San Francisco is cheaper, then you should drive south. If you already live in southern California, just start your road trip by heading north. It really doesn’t do much of a difference. How to plan a California Coast drive? When starting a road trip, it’s crucial to be prepared. Regardless of how good cell service is on all the stops, it never hurts to do your homework beforehand. Accidents and unforeseen events do happen, and it’s important to know how to solve any and all problems. Stock up on food and water, especially on those days when you know you’ll be driving for long distances. The Pacific Coast Highway (PCH) has quite a lot of rest stops and supermarkets, but if you’re venturing off the beaten path, you don’t want to run out of these. Making sure you have enough gas in the tank is also a must. You don’t want to be stuck on the highway with no gas hoping someone will help you. Speaking of cars, check if your GPS is working well. Navigation can get tricky if you want to leave the highway, so make sure your GPS isn’t bust. As a precaution, bring some good ol’ maps, in the event that the GPS breaks down. Unless you plan on visiting northern California (in which case, definitely check out Crescent City), Point Reyes will be your first stop. You’ll have for sure seen this protected are on at least one California coast road trip guide — and for a reason. 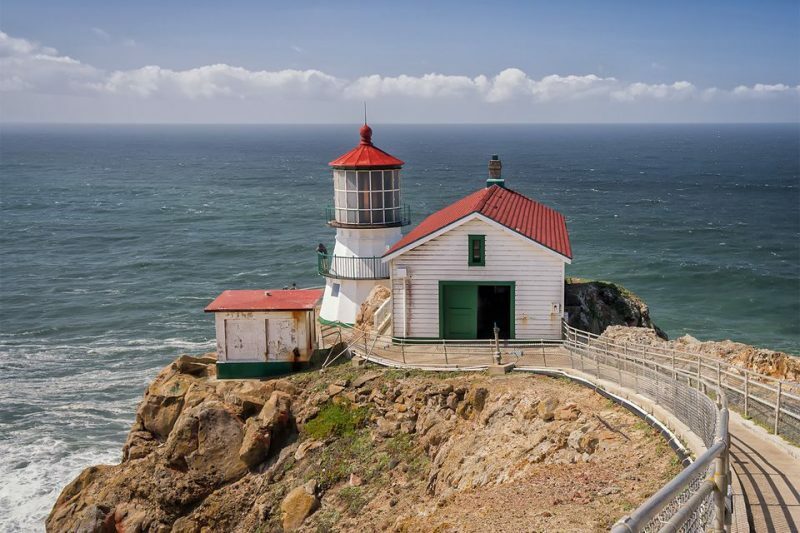 Many people in the San Francisco Bay Area head north to Point Reyes when they want to get away from the city. Its official name is Point Reys National Seashore and it spreads out for more than 71,000 acres and includes 80 miles of shoreline. There’s a lot you can do here, depending on how much time you have. Spend some time exploring the hiking trails, the beaches, and the hidden coves. One of the best trails here is the Alamere Falls, which leads you straight to a stunning waterfall. San Francisco is a beautiful city, truly one of California’s gems. It’s colorful, hilly, and has a nostalgic vibe with its old-fashioned trams and vintage shops everywhere. You could spend an entire week in San Francisco and still not have seen all that it has to offer. 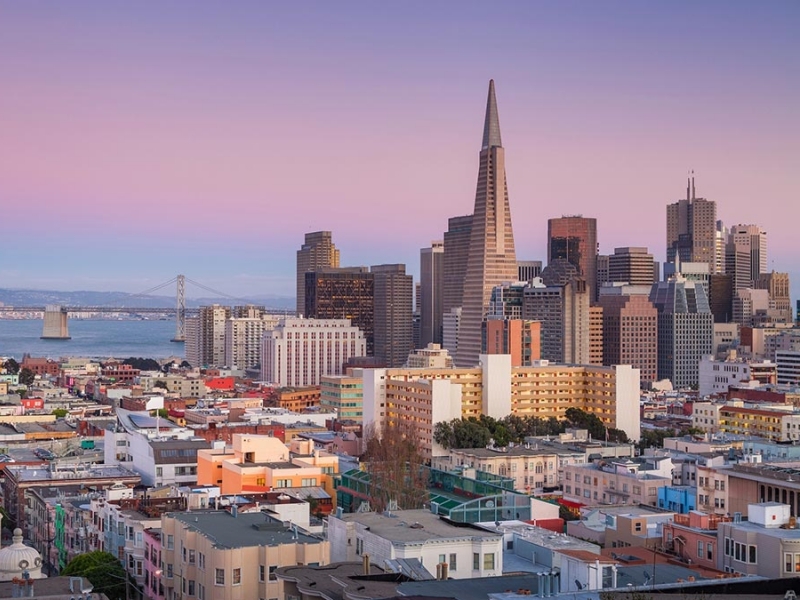 We highly recommend heading down to the downtown area to people-watch, do some shopping, walk around, and soak in all the street art San Francisco boasts. Something that can’t be missed is seeing the Golden Gate Bridge and taking lots of pictures to send back home. Heading south around thirty miles will leave you in Half Moon Bay, a cozy seaside village known for two big events: pumpkin season in October and big-wave surfing events in May. Since this is a small village, there are no big attractions here. The reason why we recommend going to Half Moon Bay is the quaint small-town vibe the village still has. The houses that dot the seashore are beautiful and worthy of many pictures. A stroll through the historic Main Street is always pleasant, especially if you’re going with a special someone. If you want to take in the peaceful vibes Half Moon Bay has to offer, you can spend the night at the five-star Ritz Carlton — one of the best hotels in California. Once you’re ready to go, take in one last breath of fresh air and start driving south again. Although a lot of guides don’t include San Jose on their must-see California coast road trip stops, we think San Jose is worth paying a visit. The city is full of art and oddities. Did you know that the Winchester Mystery House is located here? It surely has one of the weirdest and most interesting house-plans ever, with staircases that run up to the ceiling, 165 rooms, and doors placed on the exterior walls of the first floor. Sarah Winchester started building this house shortly after the death of her husband. She designed the entire blueprint of the house under the alleged instructions of her Medium and ghosts she communicated with. A far less sinister stop on your day trip to San Jose would be a visit to the beautiful San Jose Museum of Art. You can also go see the zoo, the largest open-air market in the country, and the downtown area when it comes alive at night. 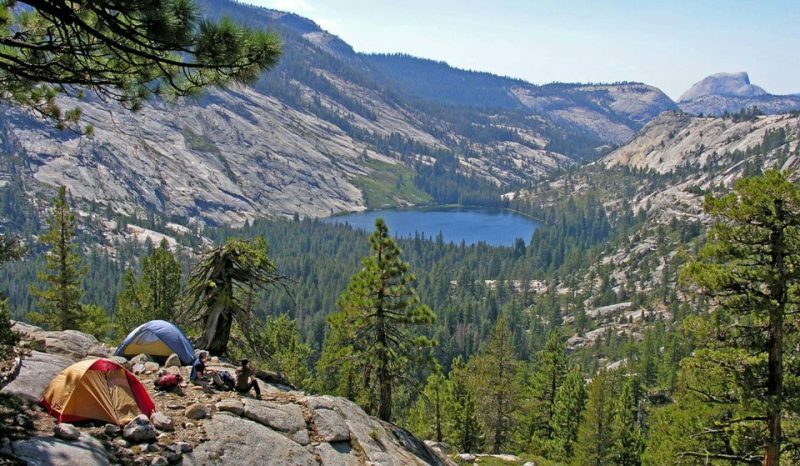 The Yosemite National Park is a lot out of the way from both San Francisco and San Jose. Driving and back to the PCH will take you around six hours, but it’s well worth it if you don’t mind the drive. Yosemite National Park is one of the most incredible stops on any road trip in the United States. The Park has been protected by the government since 1864 and it has received millions of visitors ever since. The waterfalls, the imposing granite mountains, the deep valleys, the grand meadows, and the ancient giant sequoias are just some of Yosemite’s attractions. If your dream has always been of going on a California coast road trip, this is the perfect place to set down your tent and spend the night. Camping in the middle of this National Park is a once-in-a-lifetime experience. You’ll see all kinds of small and large animals and hike down and up seemingly untouched trails. Yosemite is a pure wild gem and a national beauty! Santa Cruz is an oceanside city that’s bursting at the seams with things to see and do. It’s most famous for its boardwalk, surfing community, its University of California, Santa Cruz, and its 1960s social-justice vibe. First things first, you have to walk down the Santa Cruz Beach Boardwalk. It’s a legendary place for a reason, and you’ll soon find out why. The views you get of the ocean and of the rugged coast cannot be missed. Then, if you’re a fan of hiking through nature, head down to the Big Basin Redwoods State Park. The hidden waterfalls you’ll find when hiking down the right trails will be worth all the steep climbing. You can also pay a quick visit to any of the local breweries or wineries. If you like craft beers and high-quality wines (and you’re not the one driving! ), you’ll love the experience of tasting uniquely crafted drinks. If you’re traveling with children and still have some time on your hands, we highly recommend going to the infamous “Mystery Spot” of Santa Cruz. There are a lot of supernatural theories surrounding this place, from UFOs to magnetic anomalies oozing from the Bermuda Triangle. Children will love this place where gravity seems to work differently. It would surely make the day of any inquisitive, science-loving child. The best way to reach Point Lobos is to head down from Santa Cruz along the coast and to follow the scenic 17 Mile Drive, which overlooks Monterey Bay. You’ll know you’ve reached Point Lobos when you start to see a lot of dense forestation. Point Lobos is one of the best short California coast road trip stops. Point Lobos State Natural Reserve is the perfect place to find serenity and to get back in touch with Mother Nature. You’ll see lots of rare plant species, beautiful tucked-away beaches, and you might even see whales on their migratory course if you come during whaling season! 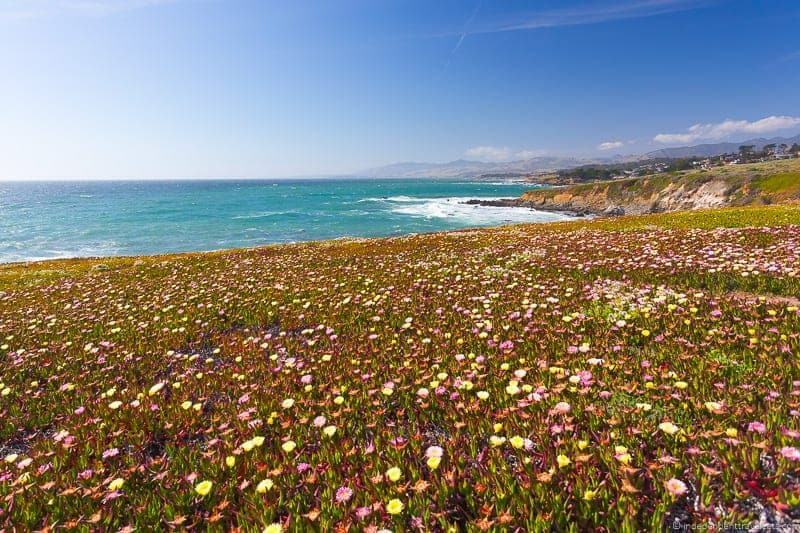 Just five minutes away by car to the north is the quaint seaside town of Carmel-By-The-Sea. It’s a little more on the touristy side than other similar towns, but it still has all its charm. Go into one of the coffee shops and have a comforting drink or have a meal at one of the small restaurants Carmel boasts. Pro tip: if you want to add another stop on your itinerary, you can swing by the Monterey Bay Aquarium which is a short hop north of both of these locations. Finally, you’ve arrived at the core of all California coast road trips: Big Sur. No one can say they went up and down California and not say they haven’t been to Big Sur and taken in the scenery. You could spend more than an entire day driving around and hiking through Big Sur to make sure you see everything the Big Sur is famous for. It stretches out for a total of 90 miles of rugged coastline and has unspoiled nature as far as the eye can see. When you come to the Big Sur, you’ll notice there are barely any people living here. It’s just you, the tall cliffs, the forest, and the sea. Don’t forget to park your car, walk around on the hiking trails, and to go down to the Pfeiffer Beach and sink your toes in the fluffy, purple sand. The McWay Falls at Julia Pfeiffer Burns State Park are also well worth the visit. You’ll be making so many stops along the highway and taking so many pictures you’ll lose count! You’ll also be driving on the Bixby Bridge, a tall single-span concrete bridge that often makes it into photo albums and Instagram feeds. Big Sur is probably the most famous spot on the route. Moving further south to San Simeon, it’s time to relax and take a break from all the driving. Check into one of the inns and airbnbs in the town for a relaxing night to get you ready and energized for a day of sightseeing. The Hearst Castle is a must on any California central coast road trip itinerary. As the name suggests, this is a castle built atop a hill. Construction lasted 30 years and it was only finished in the 1940s. Hearst Castle boasts lively gardens and luxurious interiors that will make you think of an opulent and Byzantine-inspired past. San Simeon also has the Piedras Blancas Light Station, which is worth a visit. It’s a beautiful addition to an already stunning shoreline. Lastly, but not least, head down to the Elephant Seal Rockery. 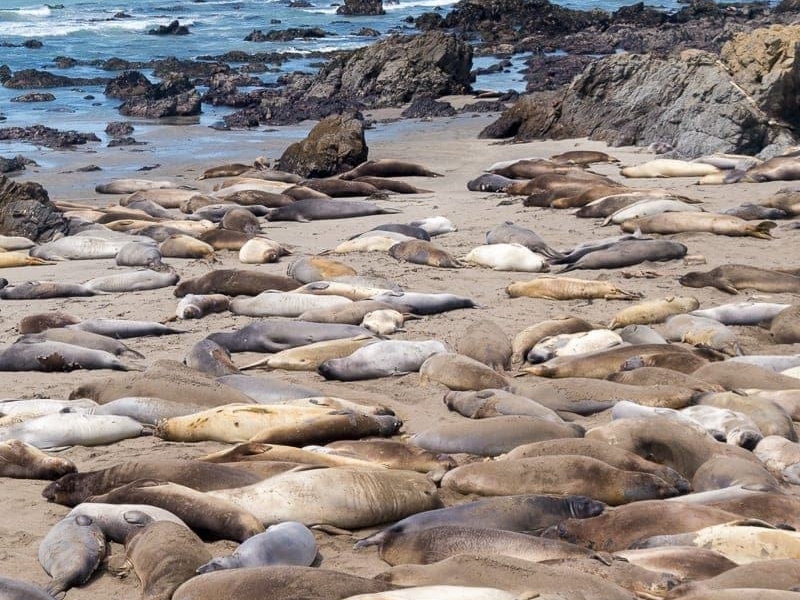 Depending on the season, you may be able to see thousands of elephant seals just lying on the sand soaking in the sun. If you’re in luck, you might get to hear them make loud noises with their big, fat noses! Cambria is located at roughly the same distance from Los Angeles and San Francisco and marks the halfway point of your PCH road trip. 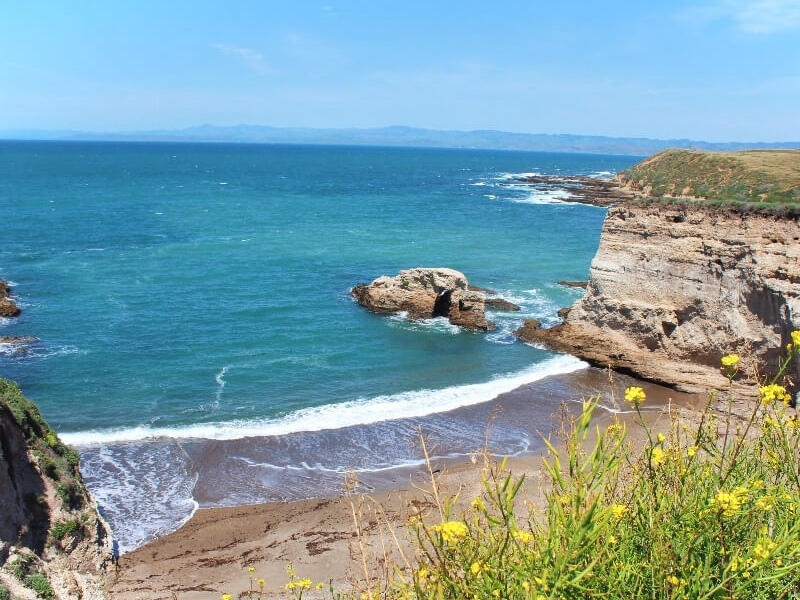 You can visit Moonstone Beach, one of the top 10 most beautiful beaches in California, according to USA Today! It’s one of the few true sandy beaches in the area, as the coastline here is pretty rugged. Its boardwalk is also a popular late afternoon strolling destination. If you want to spend more time around this area, take a detour to Paso Robles. Fans of wine will absolutely love this city. It’s famous for producing the best wines in the region and they have all kinds of wine tasting experiences for you to enjoy. Morro Bay is located a mere thirty-minute car ride away. It’s yet another charming little sea town with plenty to offer on its seafront. 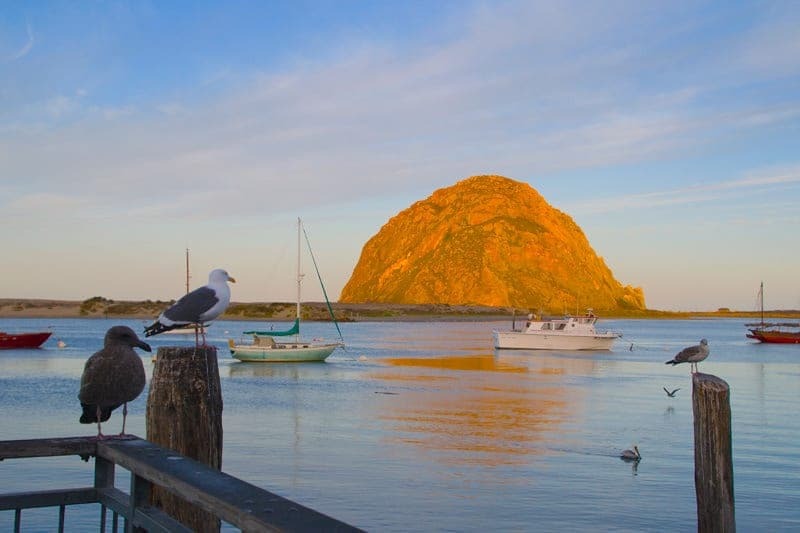 You’ll know you’re close to reaching Morro Bay when you see an enormous dome-shaped rock formation. This easy-to-spot rock is actually a 481-foot-tall volcanic plug. It’s not a unique phenomenon, though. In the Los Osos Valley, there are a total of nine similar rock formation and the Morro Rock is one. You’ll get the feeling of walking around a small and unique waterfront town even though you’ve probably seen dozens that look like it. The community here is very environmentally friendly, which shows in their “recycled holiday” events! If you’re a fan of shopping, you’ll feel at home here. There are a lot of cute and dainty vintage and second-hand stores dotting the Morro Bay waterfront. Not to mention the mouthwatering restaurants and the delicious wine shops! The first thing you’ll notice about Los Osos if you go during the workday is that it feels as if no one lives there. In fact, Los Osos is what’s known as a “bedroom community” for San Luis Obispo, meaning that the town is mostly made up of commuters who go to Obispo to work. But despite the strange-at-first desolate look of the town, it’s a pretty town where you can relax for a while until you’re ready to go on your way again. Grab a burger from one of the local restaurants and then go for a hike through nature or go bird watching. 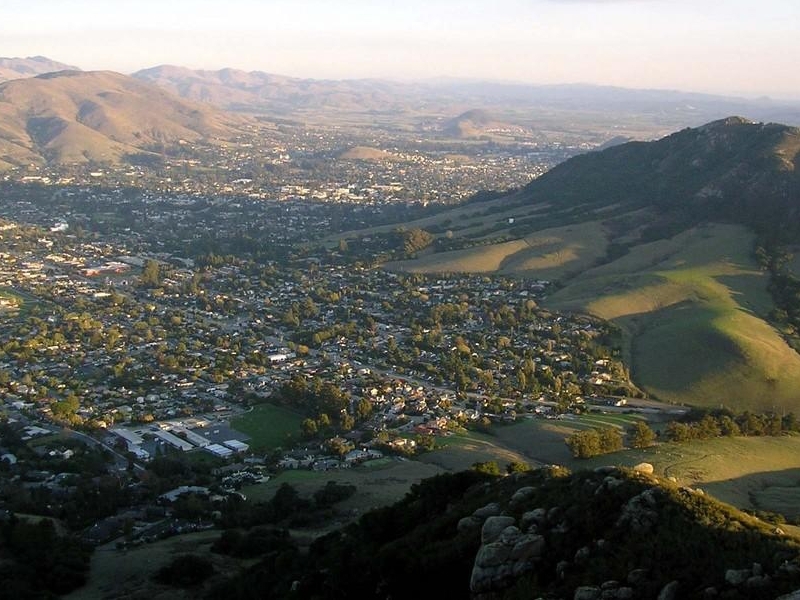 San Luis Obispo is also known as “SLO,” which gives away the motto of the city: living slowly is better than living fast. The very relaxed San Luis Obispo is a paradise for lovers of all kinds of wine. It’s located just a stone throw away from several wineries and a great starting point for your wine-tasting trip. Go on a vineyard trip with your special someone and have a blast picking out your new favorite bottle. One of the oddest attractions in the city has to be Bubblegum Alley. You’ll quickly realize why this alley got this name as soon as you get there. The 15-foot-tall, 70-foot-long alley walls are covered in chewing gum. Yes, really. No one knows where this tradition came from, but since the 1970s that it has become customary for visitors to literally leave their mark here on these walls. If you want to get away from the sticky stuff, nothing beats a bike ride around town, passing through the San Luis Obispo Botanical Gardens, the Black Hill, and the Bishop Peak. 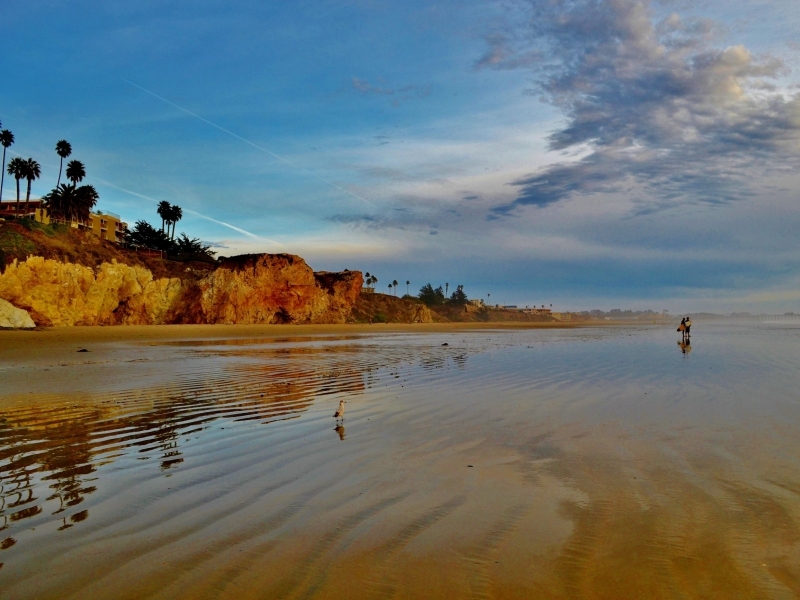 No beach town is more trademark California than Pismo Beach. Hitting the beach, soaking in the sun, and going on a dune buggy ride are the must-do activities during the summer here. When summer rolls around, dozens of people flock to Pismo Beach from nearby San Luis Obispo. The sand is finer than anywhere else around, the water is cold but a beautiful deep blue, and the sand dunes are the icing on the cake. The wooden Pismo Beach pier is also a massive attraction and the perfect destination for a late afternoon sunset walk. For those who want some more action in their lives, consider going on a dune buggy ride. The Oceano Dunes State Vehicular Recreation Area is the only place in California where you’ll get to zoom through the sand dunes. Lastly, you can’t not have a serving of the famous Pismo clam chowder. Pismo Beach used to be known as the “Clam Capital of the World,” but nowadays the large Pismo clams are becoming harder to find. But luckily there are still enough to serve hearty clam chowder soups to locals and to foodie tourists. As a curiosity, if you’re passing by during the late autumn or early winter, keep your eyes peeled to see the Monarch Butterfly migration. Thousands of these beautiful insects stop here at Pismo Beach (at the Monarch Butterfly Grove) every year. This might be one of the weirdest and seemingly out-of-place stops you’ll make on your California road trip. 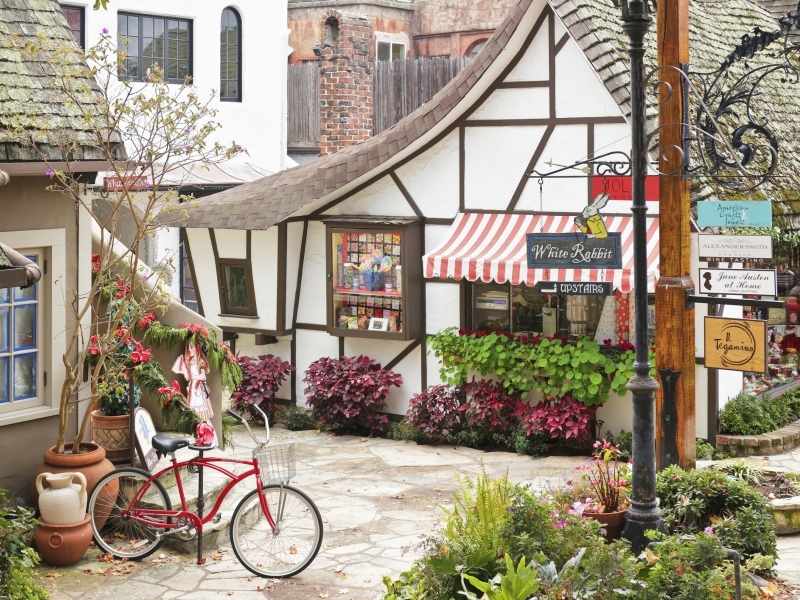 Solvang is a little town that will transport you to Denmark — even though you’re right at the doorstep of the Pacific Ocean! A group of Danish immigrants set up this small and quaint town in 1911. They decided to mimic the architecture back home, as well as implement the same traditions, schooling, and churches they had in Denmark. At one point in its history, all the schooling was done in Danish! 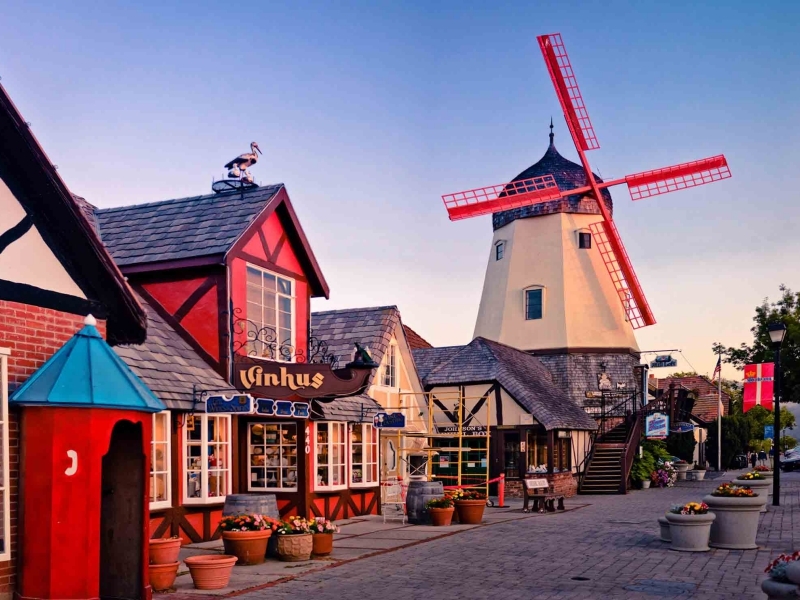 There are still some ties between Solvang and Denmark — the most noticeable is clearly the architecture. But in 2011, only a fraction of the population said they identified with Danish culture. 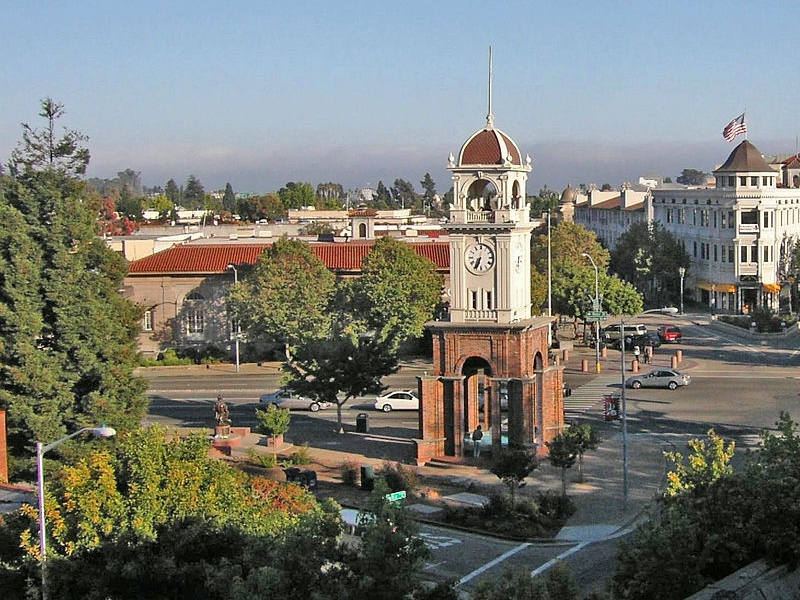 Nonetheless, this is a beautiful and quirky town that’s completely different from anywhere else in California. It’s dotted with cute café stores, restaurants, shops, and windmills. Don’t forget to snap plenty of shots of the picturesque half-timbered houses and rooftop storks! Santa Barbara is an insanely popular stop on any respectable Pacific Coast Highway road trip. It’s dubbed by many as the “American Riviera” and it boasts stunning Spanish-colonial-style architecture as well as spectacular beaches. It’s hard to get more laid back than the people who live in Santa Barbara. Everything is done slowly, and the sun must always be enjoyed — no matter if it’s a weekday or a weekend. Maybe it comes from the city’s Spanish colonial past, maybe it’s something unique to Santa Barbara! Downtown, you’ll feel as if you were transported to the Mediterranean. The stucco buildings with red-tiled roofs are any architecture-lover’s paradise. The way the sun shines down on the city makes all the colors pop out, making it one of the prettiest towns north of Los Angeles. 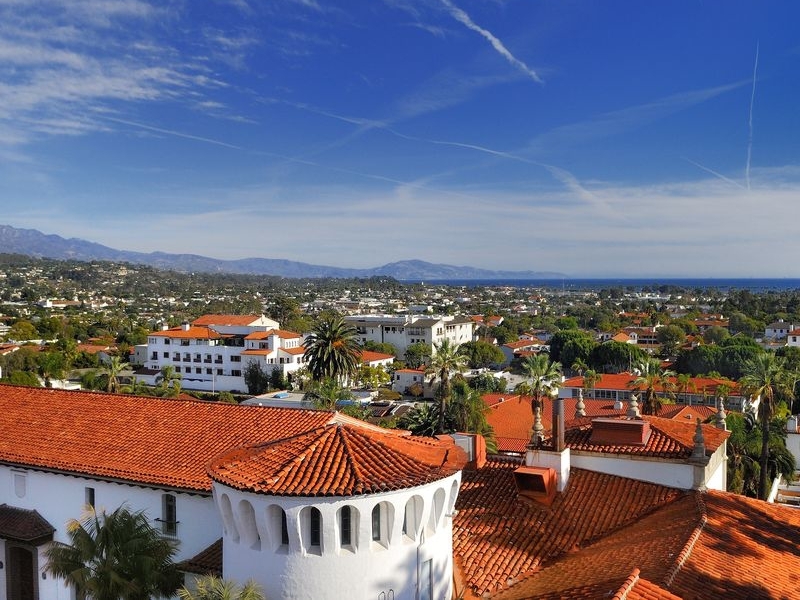 The city also has awesome museums, such as the Santa Barbara Museum of Art or the Santa Barbara Museum of Natural History, that are well worth paying a visit to. Alternatively, you can head down to the buzzing waterfront and stroll around the Stearns Wharf. Just make sure to avoid the crowds! As an evening activity, we highly recommend diving into the cultural panorama of the city and attending a classical music performance, a concert, or a film. When you think of Malibu, what do you think of? I am always reminded of beaches and exotic and luxurious mansions by the sea. 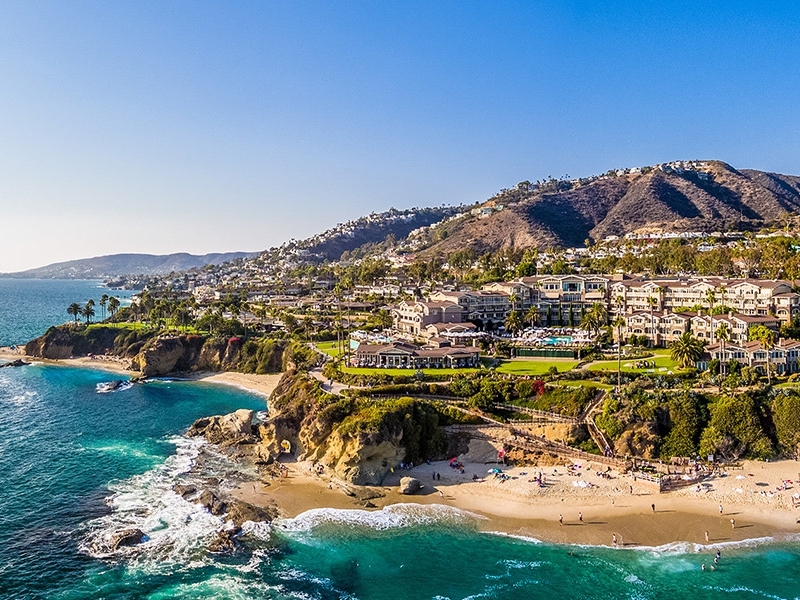 Malibu is best known for two things: having some of the prettiest beaches in the United States and being home to some of the most famous celebrities in the country. 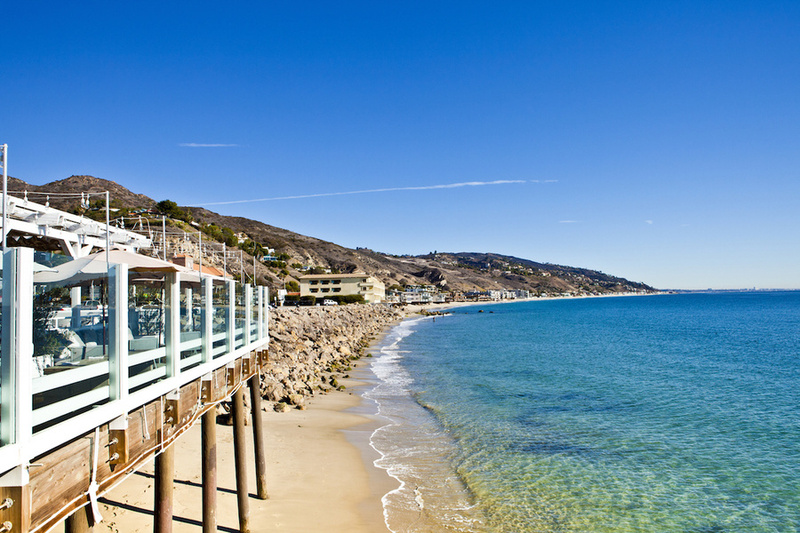 Even just walking or driving around Malibu will show you just how expensive (and stunning!) the real estate is here. When you go to Malibu, you have to go to the beach. Head down to Point Dume Beach for a clean and wide stretch of sand and a surprise: dolphins. If you pay close attention, you’ll be able to spot dolphins swimming around in the waters of the Pacific year-round. Wouldn’t that be the perfect way to bid goodbye to Malibu and carry on with your drive? But there’s another side of Malibu you might not already know. Did you know that this wealthy city has stunning canyons, horse ranches, delicious restaurants, and dozens of hiking trails? If not, then this road trip is the perfect time to see those things for yourself! At last, you’ve reached the City of Angels, of fame, and of talent: Los Angeles! There’s so much to see in Los Angeles, so we recommend spending at least two days here. First, head down to Downtown Los Angeles. 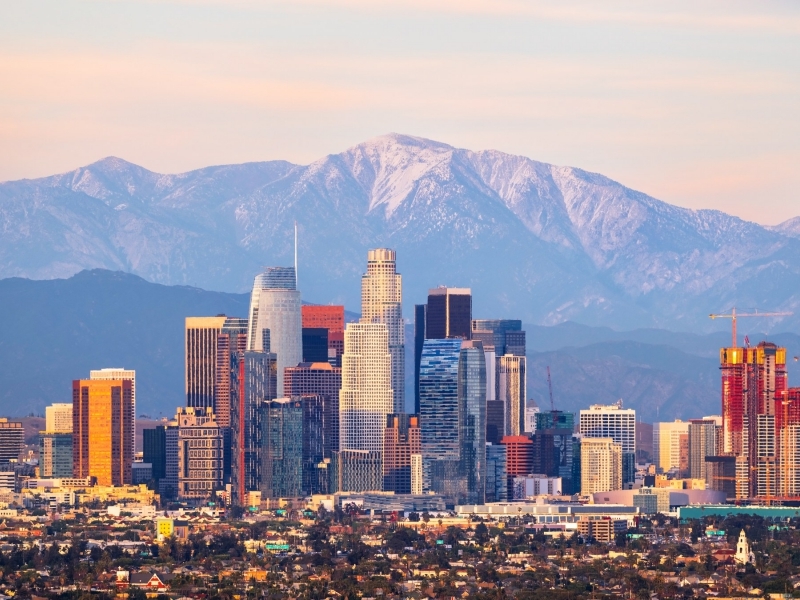 Since LA is the capital of the entertainment industry, why not go see some shows? You have the Walt Disney Concert Hall, the Music Center, the Regent Theater, and the Broadway Theaters to choose from. It’ll be tough sticking to just one show! Los Angeles is also full of cool museum and art galleries. Take the Main Museum, The Grammy Museum, The Museum of Contemporary Art, and of course, The Broad as just a sample of the city’s art scene. Foodies will also find their paradise-on-earth here. Some of the most exciting food events and new trends are born right here in the City of Angels. Have you heard of the cronut? Yup, it was first invented here! If you’re a film buff, we know you’re itching to explore all the moving-picture history here. Start out with seeing the Walk of Fame, head to the Hollywood Museum, pay a visit to Universal Studios and to Warner Brothers and daydream of the life you’d have as a movie star. And who could forget about the Hollywood sign? Drive up to it and take plenty of pictures both of the mythic letters and of the city from high up. But Los Angeles is also known for having amazing beaches. Venice Beach, for example, is a great destination for a day trip. The beaches there are amazing and it’s also a great spot to people-watch! Lastly, head to Santa Monica and stroll down the infamous Santa Monica boardwalk. There’s no better way to end your day than by watching the sun set on Santa Monica beach. 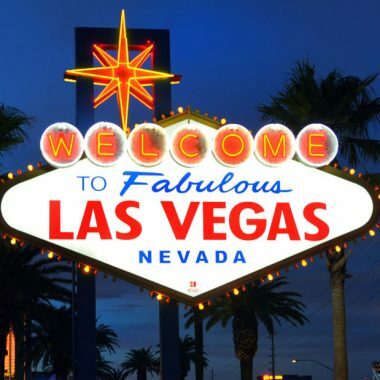 You’ll also probably see the “Route 66” sign, which will certainly give you inspiration for another road trip! Long Beach sits just twenty miles south of Los Angeles and it is still a very urban-y area. However, if you have the time and you’re a city lover, make a quick stop here. One of the reasons Long Beach stands out is its eclectic style and street art vibes. You’ll find a community that’s a fan of good street art, which you’ll see reflected on the architecture. Long Beach also has good sandy beaches that become packed in the summer weekends. If you’re a fan of marine wildlife, check out the Aquarium of the Pacific on the waterfront. If you’re traveling with kids, this would be an even better stop. To feel those old-school and retro vibes, visit the Knott’s Berry Farm, a 1950s-style theme park with lots of fun rides, especially for adventurous children. Lastly, you can pay a visit to The Queen Mary, a 1930s floating hotel that’s docked here in Long Beach! It has a 1930s bar, several restaurants, a British chowder bar and pub, a tearoom, dozens of rooms, and even an intriguing ghost hunt tour! Welcome to Orange County! Perhaps one of the most coveted places to live in the United States — and with good reason! The sun always shines here, the beaches are amazing, the wildlife is fantastic, and the vibe here is sublime. Huntington Beach is a city southwest of Los Angeles that’s a part of Orange County. It’s the northernmost of the three beaches we’ve listed and insanely famous for surf beaches. Huntington Beach won the 2018 Best California Beach Award given by USA Today and it calls itself “Surf City” You should totally go for a swim or ride some waves since you’re here. Head down to Newport Beach to see how the beach lifestyle and high fashion blend together. Here, you’ll find a lot of high-end boutiques and fine dining restaurants. Newport Beach is all about the moored private yachts on its two piers and a luxurious lifestyle. Lastly go down to Laguna Beach to say goodbye to Orange County. 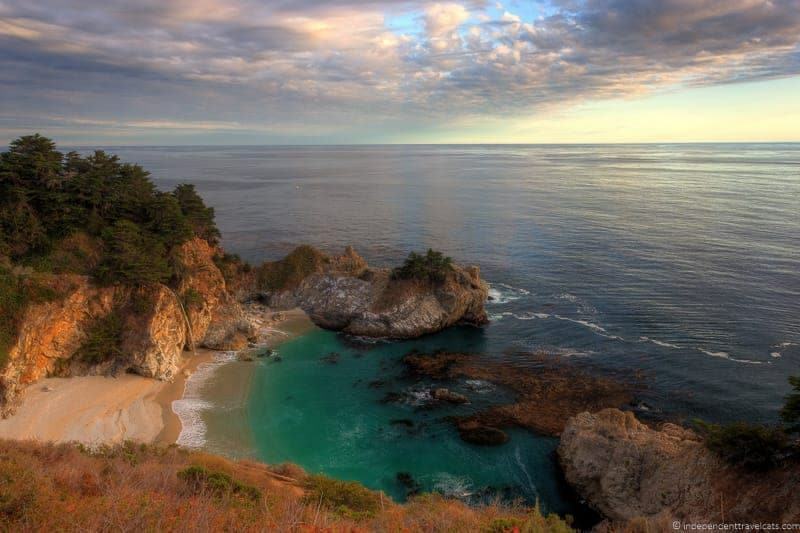 Apart from the stunning beaches, Laguna Beach is home to 20.000 beautiful acres of protected wilderness. It’s the ideal place to take a break from all the crowds and cities and to unwind a little. Hop on a mountain bike or go on foot to discover the trails carved out on the surrounding untouched natural parks. You’ve reached the end of your trip and a beautiful city! San Diego is bursting at the seams with life and excitement. San Diego is located right on the border with Mexico, only twenty miles from Tijuana. And the Mexican influences can certainly be felt in this relaxed southern Californian city! The local cuisine is one of the top things on any San Diego travel guide. 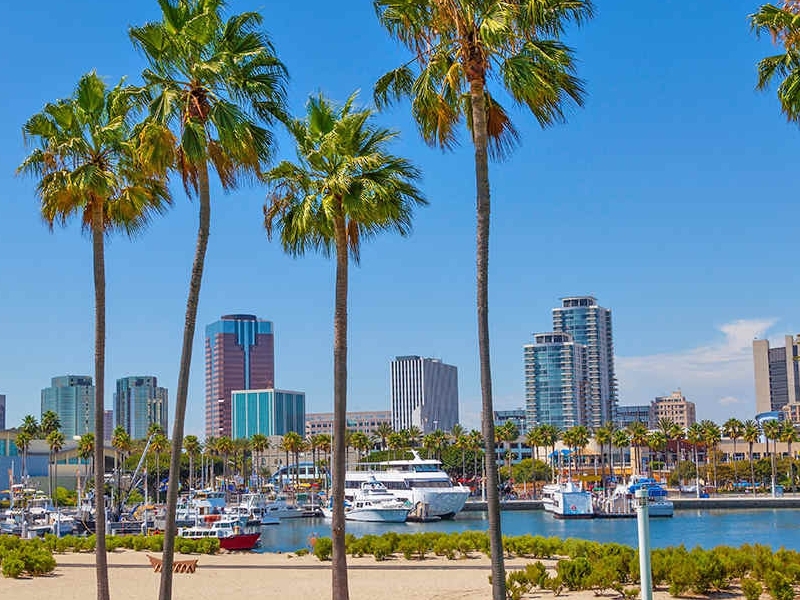 If you’re looking for fresh fish, spicy flavors, and aromatic dishes, San Diego is the spot for you. The local cuisine is known as Cali Baja, mixing the elements from both north (Cali) and south (Baja) of the border. 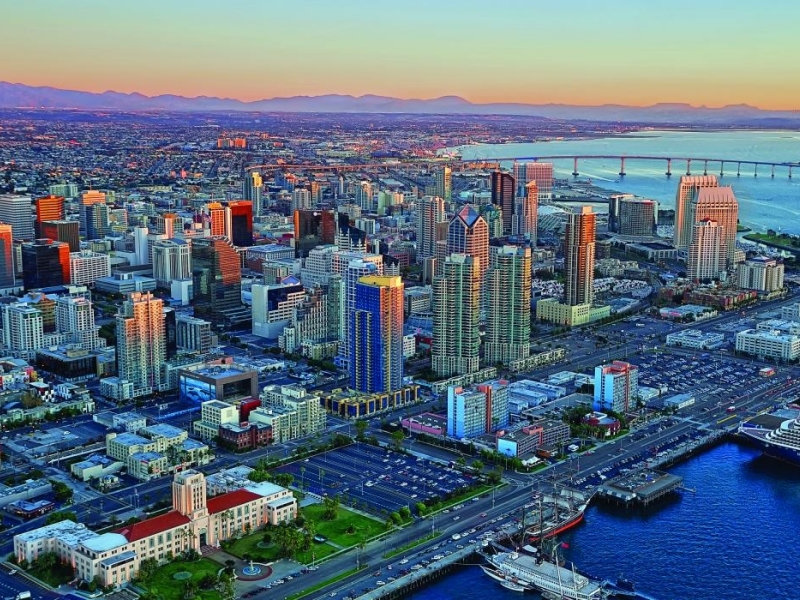 San Diego also has a lot of art and culture to offer visitors, that, too, influenced by Mexico as well. The Nine Arts District is one of the most vibrant neighborhoods in San Diego and is home to several art galleries and plenty of public street art everywhere you turn. Beaches are also San Diego’s forte. 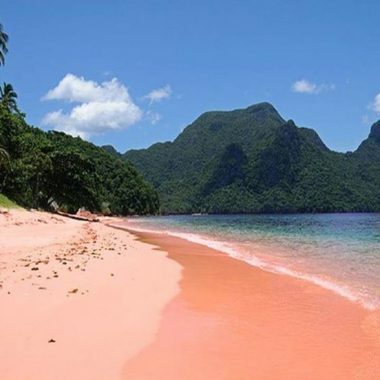 You have a variety of beaches to pick from — it’ll be hard narrowing down the list! San Onofre, Solana Beach, Ocean Beach, Torrey Pines, Pacific Beach, La Jolla Reefs, Carlsbad Beach, and Coronado Beach are just some of the nearby beaches you can visit. Surf and sunbathing are such iconic parts of the California lifestyle, so what better way to end this epic road trip than by sinking your feet in the sand? Where to start my California road trip? It depends entirely on where it’s most convenient for you! You can start going up or down the coast, depending on what’s better for you, personally. We believe whichever direction you choose will be good. On this article, we covered a Pacific Coast Highway drive starting in northern California (in Point Reyes) and ending in southern California (San Diego), but it’s entirely up to you! Where to stay during my road trip? There are many places where you can check into during your road trip. There are always either inns, hotels, resorts, airbnbs, or youth hostels dotted along the coast of California, so choosing a place that fits your budget shouldn’t be too hard. It all depends on where you want to stay the longest! 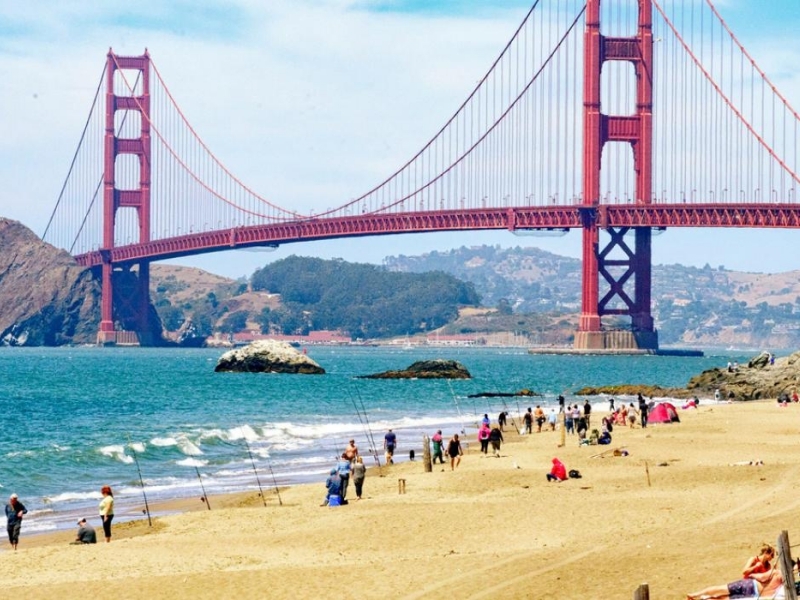 Is a family road trip up the California coast a good idea? Absolutely! Children usually love nature and the beach, so the coast of California is the perfect destination for a road trip with a child. 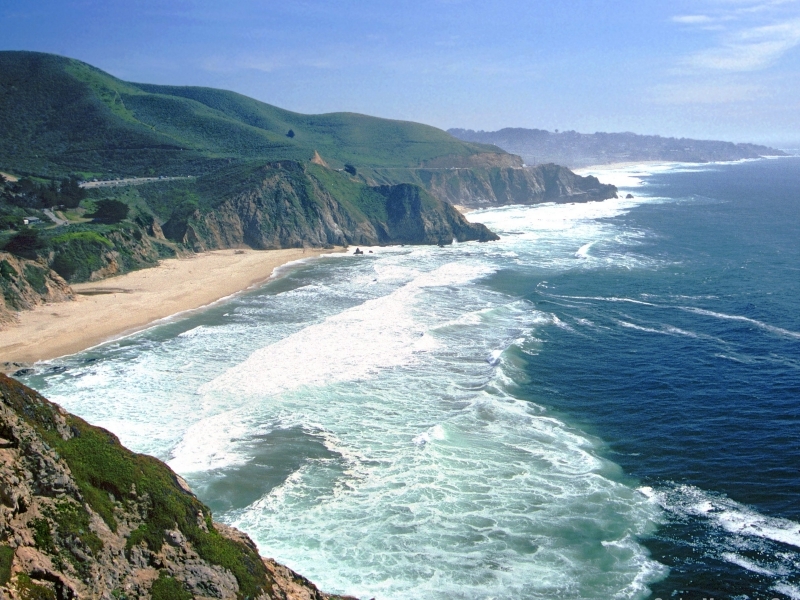 When is the best time for this road trip up the California Coast? Southern California has very good weather year-round, but the same can’t be said for central and northern California. The winter months bring storms that sometimes close down the PCH and the summer months bring fog (sometimes thick). Your best bet to drive up and down the coast with minimal fog and no storms would be in early- to mid-fall. The months of October and even November are generally the best for clear skies and sunny days even in San Francisco! How long does the California coast road trip take? It all depends on how long you want to spend in each place! The road trip we laid out takes at least fifteen hours of continuous driving at a normal pace but with no stops. If you have the time, we’d recommend shooting for seven to ten days (if not longer). This way, you have all the time you need to spend time at every stop without being rushed.